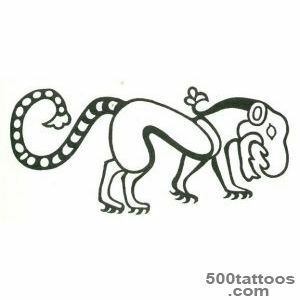 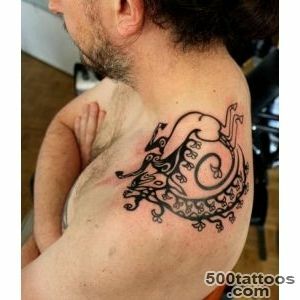 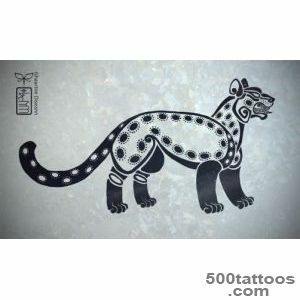 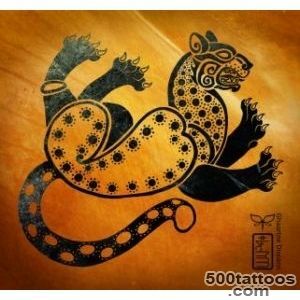 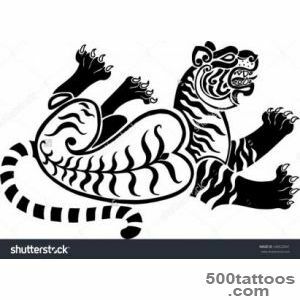 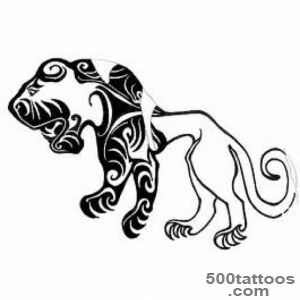 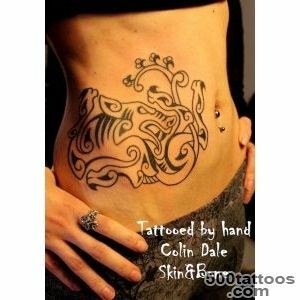 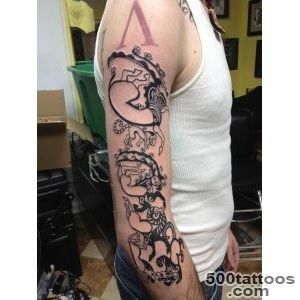 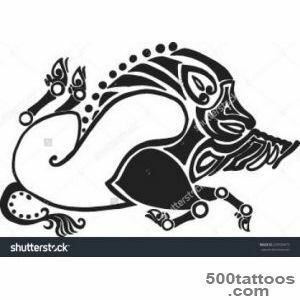 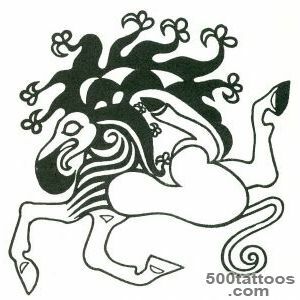 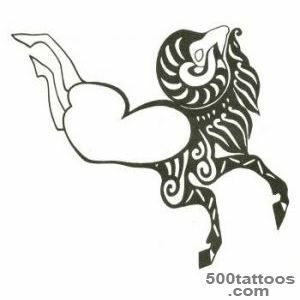 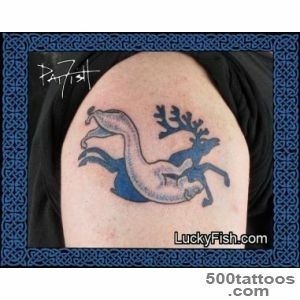 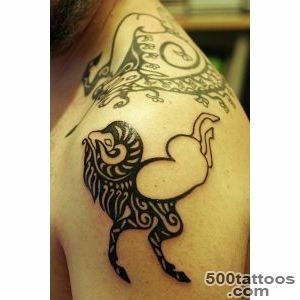 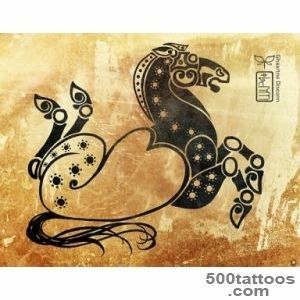 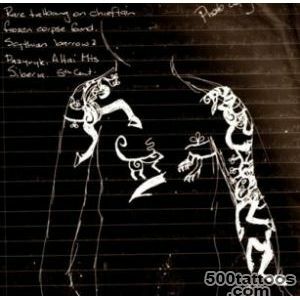 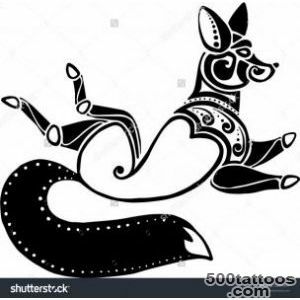 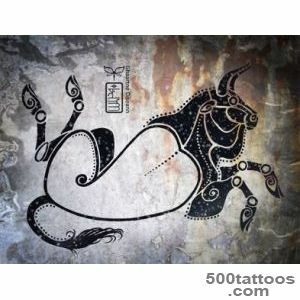 This style of tattooing, also known as an animal, formed in Siberia, Black Sea and Central Asia, where the kindreds of the people lived in ancient times, called Scythians. 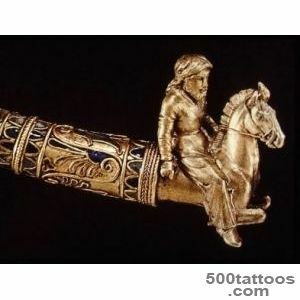 The Scythians were brave warriors, there was a cult of valor and victory in their society,which could not be reflected in the cultural traditions - Scythian ornaments present in the horse harness on military attributes, household utensils, as well as wearable images. 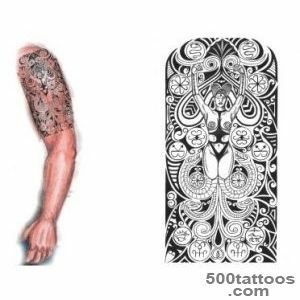 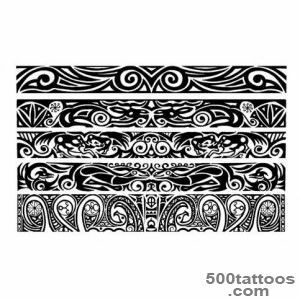 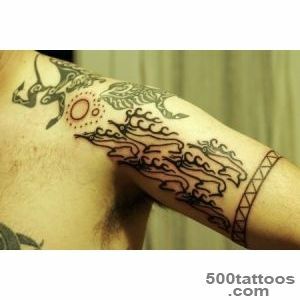 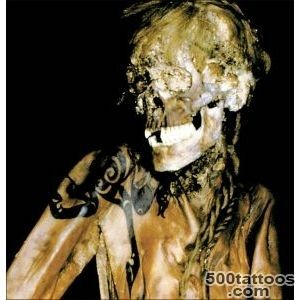 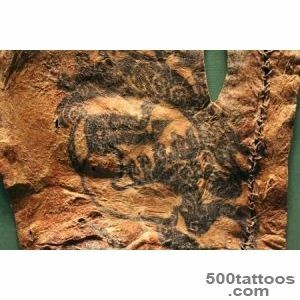 Tattoos made ​​in Scythian style, can be distinguished by the characteristic motifs easily : this wave, crosses, swastikas, composed of flowers or tridents cruciform shape. 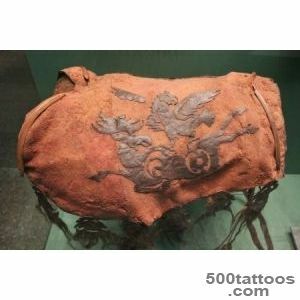 Besides,very popular in the Scythian wearable images are floral designs of leaves, buds, flowers, arranged in any geometric pattern or a geometric figure. 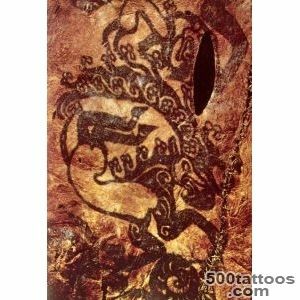 A special area in the Scythian style of tattooing make images of figures of birds and animals - deer, wolves, elk, tigers, mountain sheep,leopards, eagles, griffins, geese. 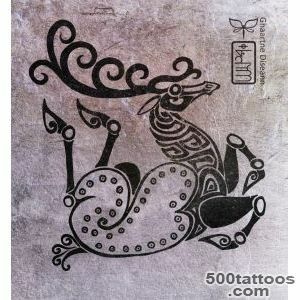 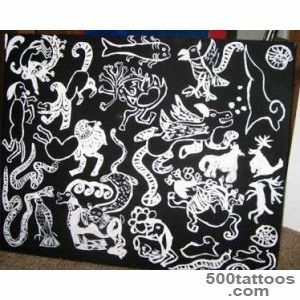 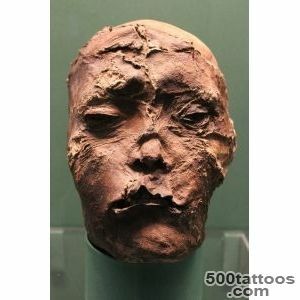 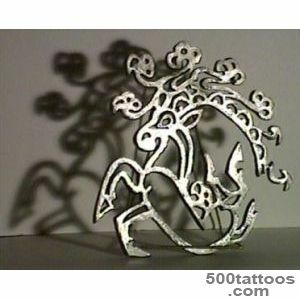 These figures differ stylized decorative and special. 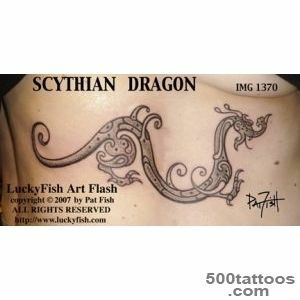 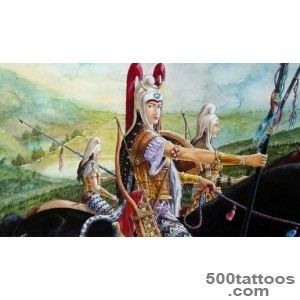 It should be noted that in ancient times, along with real animals, the Scythians were applied to the skin and images of fantastic characters. 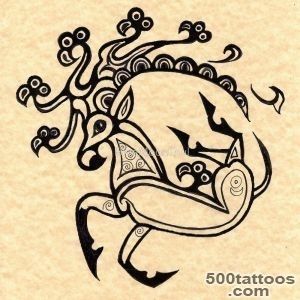 Evidence of this is found by archeologists image griffin pileated,high crest and powerful horns on his head.